Our recent microsite for Baker McKenzie, Ghosts in the Machine: Revisited has been shortlisted for Best Use of Interactivity in the annual Shorthand awards. We’re chuffed! Revisited is the follow-up to the original Ghosts in the Machine report from 2016, and looks at the use of artificial intelligence in the financial services industry. We’re proud to be shortlisted alongside other great players in the storytelling field like the Thomson Reuters Foundation and the BBC. And while the Shorthand Awards jury members put their heads together to decide on a winner, we will wait patiently. In the meantime we recommend to take a look at Ghosts Revisited — happy scrolling. To check out the competition, head over to Shorthand’s The Craft for the complete shortlist. Chinese banks are the leading providers of infrastructure finance in Sub-Saharan Africa. But the US is upping its game. 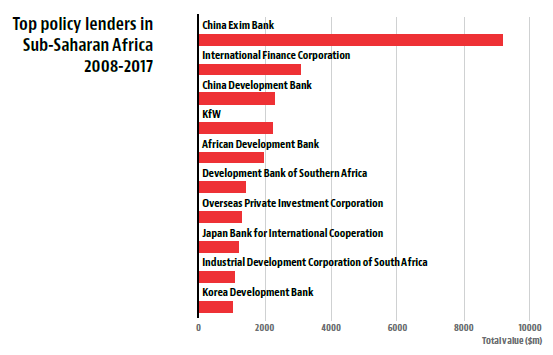 According to a report by Baker McKenzie, Thought Leadership Consulting and IJGlobal, the numbers speak for itself: From 2008 to 2017 China Exim Bank, the state-owned export-import bank, pumped $9.2 billion into Sub Saharan Africa infrastructure, three times the amount the International Finance Corporation (IFC) provided. And the US? Its Overseas Private Investment Corporation, OPIC, invested $1.3 billion. “Until [China] came along, the West focused on aid and issues like corruption; they didn’t see the business opportunities,” AfDB’s Shonibare says. But Chinese engagement on the African continent is no longer going unnoticed. The same day, Germany announced a new €1 billion ($1.3 billion) fund to support investment in Africa. The US also remain engaged. Since its inception five years ago the US Power Africa programme has funded 80 transactions valued at more than $14.5 billion that are now either online, under construction,or have reached final close. In a survey of 434 executives from the development finance community, conducted by Thought Leadership Consulting for Baker McKenzie, a small but clear majority thought that US-based development finance institutions (DFIs) and export credit agencies (ECAs) will be more active than their China-based counterparts over the next ten years. As if to prove the the point, the US announced soon after survey closure plans to turn OPIC into the International Development Finance Corporation and double its lending ceiling to $60 billion. The decision is widely seen as a counter to Chinese largesse in Africa and other emerging markets. The US is reportedly concerned about the security implications of China gaining control of strategic assets as a result of unsustainable borrowing by some developing countries. 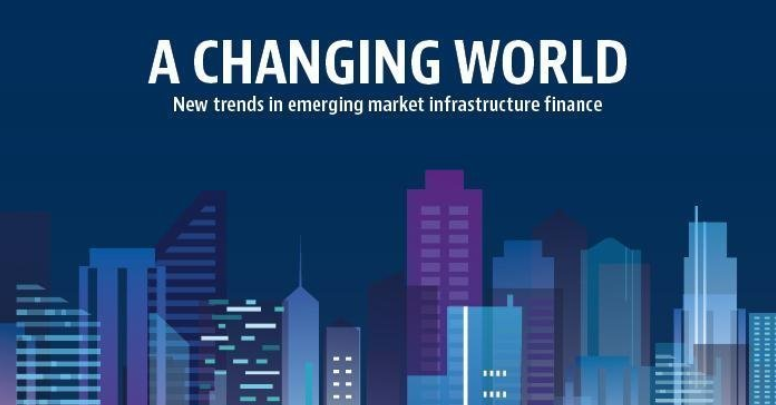 The full report “A Changing World: New trends in Emerging market infrastructure finance” by Baker McKenzie in collaboration with Thought Leadership Consulting and IJGlobal is free to download. Banks were among the first to recognise the need to embrace digital currencies and distributed ledger technology, but they are not the only ones. Within the financial services industry credit card companies or insurers come to mind. But one particularly intriguing example comes from Numerai. In a bid to develop artificial intelligence, the San Francisco-based hedge fund developed its own cryptographic token, called Numeraire. The idea is that data scientists developing AI models stake Numeraire in an auction to quantify their confidence in the models. Those that prove their predictive prowess earn Numeraire, while those that don’t see their digital stakes destroyed. Geoffrey Bradway, VP of engineering at Numerai, expects “more and more novel coin applications in the finance realm”. In part nine of our digital currencies series we’re going beyond banking, looking at other areas where the financial services industry considers – or already uses – distributed ledger technology. To read the article, which we have produced in collaboration with law firm Baker McKenzie, please follow this link. Earlier in the series, in May 2017, we looked at the potential of digital currencies and distributed ledger technology for central banks. And in June, we discussed what’s in it for banks. Aviation finance is not an industry on everyone’s radar even though it’s huge. The term refers to the business of aircraft leasing: up to 50% of planes globally are no longer owned by airlines directly. Instead, those planes are on lease from specialist companies. International tax reform might change the way competition among global aviation finance centres from Ireland to Singapore plays out in the future. Leasing is an attractive way for airlines to manage their aircraft fleets. Compared to owning planes leasing increases flexibility and does not require airlines to take on huge amounts of debt. The top 50 aircraft lessors have planes worth $260 billion under management, according to Airfinance Journal, which gives an idea about the size of this growing industry. Aircraft leasing is concentrated in a few jurisdictions globally, and about half of that business is conducted from Ireland. It’s so important to the Irish economy that The Economist recently described aircraft finance as “perhaps the city’s [Dublin’s] most successful industry”. This makes the country, with its population of just 4.6 million, the biggest player by far in aviation finance, competing with a handful of other territories around the world including Singapore, Hong Kong and Chinese free trade zones. But with international tax reform on the horizon there are concerns that Ireland’s leading position will come under increased pressure from other jurisdictions. Being a member of the European Union, it is the EU’s anti-tax avoidance directive (ATAD) that poses the biggest threat to Ireland as a destination for aircraft leasing. The ATAD, which comes – with a few exemptions – into effect in January 2019 introduces a variety of measures designed to make it harder for corporations to play the tax laws in different countries in and outside the EU against each other. When Euromoney Thought Leadership and Deloitte teamed up recently to survey the aviation finance community, it turned out that the experts are worried about the impact the ATAD may have on their business. 53% of 400 experts surveyed told us that they expect airline’s aircraft leasing costs to increase in the wake of the directive coming into effect. Only 13% disagreed. And 40% also believe that the ATAD will result in fewer planes being leased. That sounds like bad news for Ireland, the leading aviation finance jurisdiction not only in Europe, but globally. It appears to make intuitive sense: if the ATAD puts pressure on lessors and lessees based in the EU, they’ll move elsewhere. And indeed, our survey reveals that the industry is prepared to take action if deemed necessary. Aircraft lessors expect to relocate 28% of their business on average in the wake of anti-tax avoidance initiatives. In addition, when asked which aviation finance location will see the fastest growth in the next five years, Chinese free trade zones and Singapore came first and second, with Ireland in third place. The data appears to confirm expectations that the ATAD might have a direct impact on Ireland as a centre for aviation finance. But it’s not that simple. While aircraft leasing is concentrated in jurisdictions with favourable tax regimes, there are reasons other than low taxation that make those locations attractive. “Ireland’s competitive strength is its double tax treaty network, which is hard to duplicate in a hurry,” Edward Hansom, Chief Investment Officer at Seraph Aviation Management, says. Focusing on the low tax rate in Ireland would be “a bit of a red herring in the context of aircraft leasing because companies anywhere tend to have enough legitimate capital allowances to defer tax liability”. Yes, the effective corporate income tax rate matters (38% of all respondents say it is very important), but double tax treaty networks get an even higher score (42% of all respondents, and 54% for lessors only). While on the one hand other factors in addition to the tax environment are at least as important to the aviation finance community, it is on the other hand also necessary to look beyond the ATAD when it comes to taxation. EU member states set their own respective corporate tax rates, and Ireland’s 12.5% rate is the lowest within the Union. This won’t change in light of the anti-tax avoidance directive coming into effect. “The low corporate tax rate is not going to go anywhere soon regardless of what the European Commission wants to do,” Eamonn Brennan, CEO of the Irish Aviation Authority, notes. Other aspects include the strong and supportive regulatory environment in Ireland, an effective legal system, and a strong skill set that comes from over four decades of experience in aircraft leasing in the country. The survey and report “Game Changer not Game Over: Aviation Finance and International Tax Reform” has been prepared by Euromoney Institutional Investor Thought Leadership in conjunction with Deloitte. The complete research is available for free download here.